In addition to his innovative skin care line, Dr. Garo Kassabian has designed a line of activewear with ease and comfort in mind. These 100% cotton garments are completely machine washable and slip easily on and off for lounging or light errands during your post-surgical recovery. 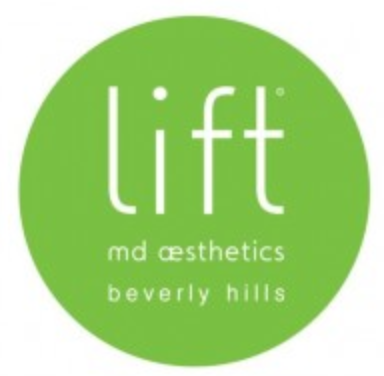 It brings with it the innovation and experience of a top Beverly Hills cosmetic surgeon, Dr. Garo Kassabian. The LIft™ Velour “Hoodie” Activewear Set is a soft cotton velour jersey lined two-piece set. It includes the velour “hoodie” jacket and the velour activewear bottom. The Lift™ Activewear Bottom is also 100% cotton velour with an elasticized drawstring waist and front and back pockets. They can be purchased as a set or the bottoms can be purchased separately. Both the velour hoodie and the activewear bottoms come in slate blue velour. The jacket comes with a heather gray jersey lining. The Lift™ Velour “Hoodie” comes in a variety of sizes from XS to XXL, the bottoms come in sizes ranging from XS to XL. The Lift™ Stretch Jersey “Hoodie” Activewear Set is a soft 100% cotton jersey two-piece set. It includes the cotton “hoodie” jacket and the soft cotton activewear bottom. The Lift™Stretch Jersey activewear bottom is designed with an elasticized drawstring waist and front and back pockets. The bottoms can be purchased separately or as part of the set. The jacket comes in black with a heather gray jersey lining. The bottoms come in black with a heather gray waistband. The Lift™ Stretch Jersey “Hoodie” comes in a variety of sizes ranging from XS to XXL; the Lift™ Stretch Jersey Activewear Bottom comes in sizes ranging from XS to XL. To round out the Lift™Activewear ensemble is the Lift™ Baby Rib Tanktop. This perfect all cotton baby rib tank top is designed to show off your curves and contours. This comfortable, fashionable tank top comes in Black or Heather Gray with a custom fuchsia imprint in sizes ranging from XS to XL. This is the perfect item to complete the look. These Lift™ Activewear Sets are a great way to be both stylish and comfortable during your post-surgical recovery. Find these items in both our online store and in our state of the art surgical center and spa.